In what is sure to be the first of many desperate attempts to cling to her position in the U.S. House of Representatives, Betsy Markey (CO-4) is now going after Cory Gardner‘s family members. Problem is Cory Gardner has no stake in the farm in question, it is entirely owned by his father and grandfather. The reason I highlighted certain words in the above quote is that Ms. Markey’s spokes-idiot frames it 3 times in the first person, he (and by extension Ms. Markey) intentionally lied to mislead the public about Mr. Gardner’s position in the company. How did this all start? By the following comment by Cory Gardner: “One of the questions he answered regarded if he would support subsidizing alternative energy industries. [Rep. Gardner] said that if an industry needs to be subsidized to be successful, he questions if it is succeeding.”[Journal Advocate, 8/6/10] To most sane thinking people this is an obvious and simple point, and a correct one. But what would Betsy Markey know about this, she’s subsidized all kinds of failure through her vote for the Stimulus which only has seemed to stimulate unemployment and home foreclosures. 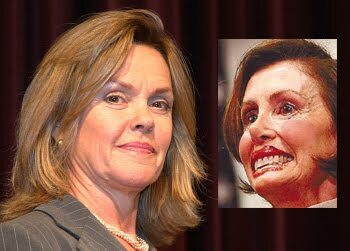 Ms. Markey rode the Obama wave in 2008, which has become an unmitigated disaster and is part of the most unpopular Congress in history. She lied to voters about how she would vote for health care reform, and now she approves lies and attacks against her challenger.